A picture is worth a thousand words, or whatever. 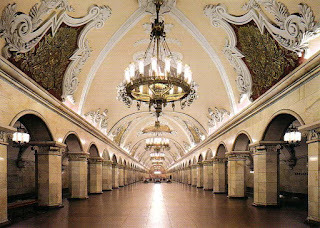 You've got to be in the Moscow Metro to believe. US subway stations range from highly functional mass-transit places to extensions of ghettos through which they pass. 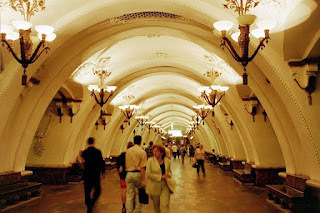 Moscow takes a different approach, as some of its nicer metro stops make clear.